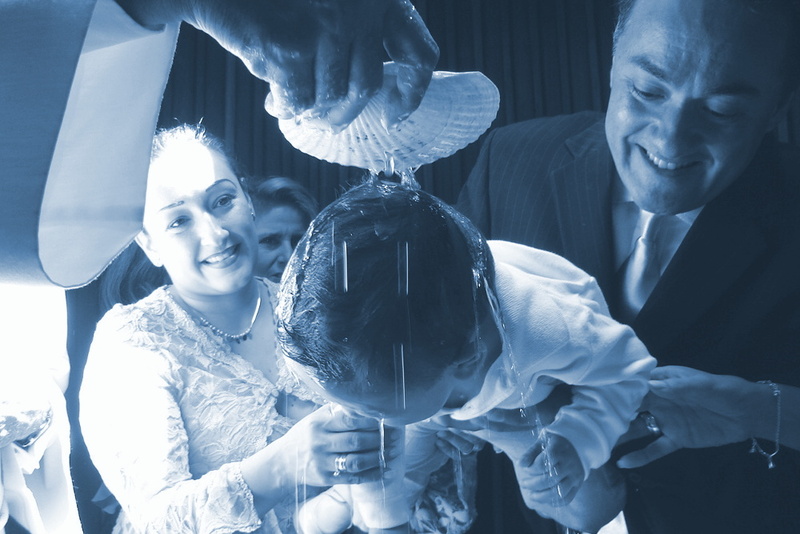 The Sacrament of Baptism (sometimes called a Christening) is a Sacrament of welcoming into the Church. The first of three official Sacraments of Initiation, Baptism is a person’s first step in the Christian life, inviting him or her into the family of the Church and providing a “gateway to the life of the Spirit” and a “door which gives access to the other sacraments.” Coming from the Catechism of the Catholic Church, those descriptions give a little insight into the importance of this wonderful Sacrament. To be baptized is to be received, enlightened, washed, and renewed in the love and Spirit of God. 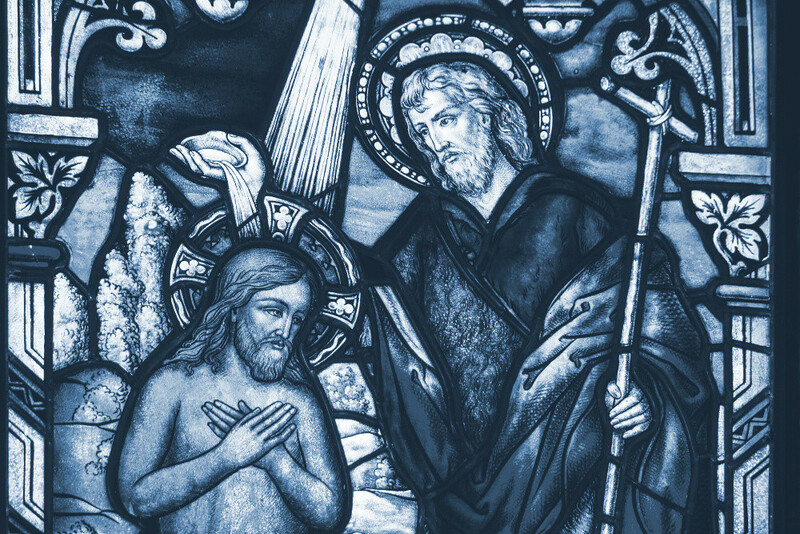 Reflecting the Baptism of Jesus himself, it’s a moment in which a person begins a lifelong journey of faith, surrounded by loved ones and the Church. The action of baptism is actually pretty simple and straightforward. Water is poured over the head of the one being baptized as the priest or deacon declares, “I baptize you in the name of the Father, and of the Son, and of the Holy Spirit.” It’s a simple action but one that has immense and incredible effects, as the newly baptized person has been claimed for Christ, joyfully received by the community of faith, strengthened by the gifts of the Holy Spirit, and freed from the stain of Original Sin. It truly is a wonderful way to be welcomed. We Want Our Child Baptized... What Do We Do? If you have a child ready to be baptized, congratulations! We're excited that you have an interest in your child being baptized here at Saint John Bosco Parish. We ask that you contact the Parish Office to express that interest and find out more information. The Office is open Monday to Friday, 8:30 am - 4:30 pm, and can be reached by phone at 203-488-1607 or by email at enaylor@saintjohnboscobranford.org An advance notice of at least one month is requested -- ideally, before godparents have been chosen. First-time parents are also required to attend a Baptism preparation class, held here at the church. This class takes place on the first Wednesday of the month, beginning at 7:00 pm. Contact Emily Naylor, our Parish Secretary, in the Office to discuss arrangements and to RSVP for a class. But What If I'm Not A Baby? While most baptisms in the Catholic Church are of babies, we also welcome anyone who is interested in joining our Church and becoming a member of our family of faith. 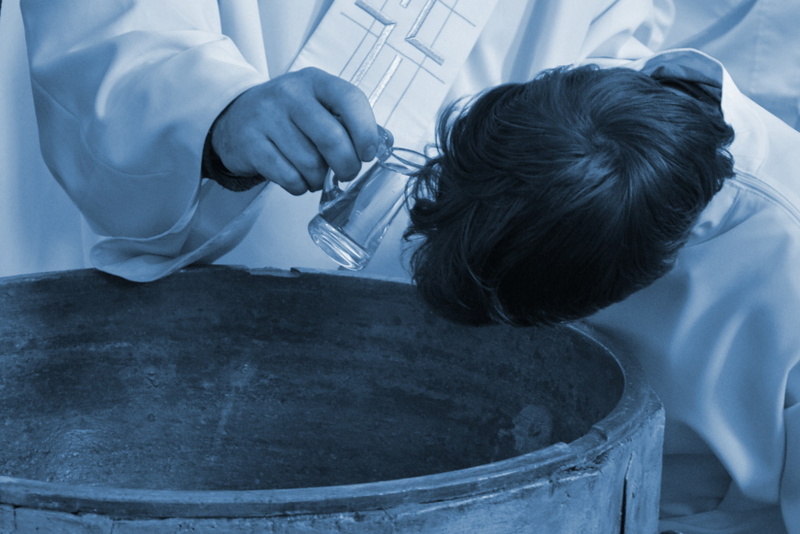 Depending on your age and past religious affiliation, there are different routes that can be taken either toward being baptized into the Church or possibly being fully initiated into the Church through all three Sacraments of Initiation. For adults interested in becoming Catholic for the first time or becoming fully initiated into the Church, the Rite of Christian Initiation of Adults process might be for you. Alternatively, if you’ve already been initiated into the Catholic Church but have had some time apart from coming to church or practicing your faith, our Landings program might suit you best. If you'd like additional information, please click the links to learn more about these programs. If you still have questions, feel free to contact the Parish Office. We're happy to help you out in whatever way we can.